I love this! Some days the choices at the market are this mango or nothing. I'll still give this a try! YUM, Ramona! I had mango salsa for the first time last year and I just love it! It's a great sweet/heat accompaniment to meats! ...and it's good on it's own, too! Thanks for sharing and I hope you are well! Yum this looks so refreshing! I love mango salsa with chips or over fish. YUM! LOVE this Ramona!!! Looks so yummy (and gorgeous!). Have a fabulous day! Ramona, this is such a beautiful salsa. I also love mango, and I love that you made combination of sweet and spicy..well done honey! 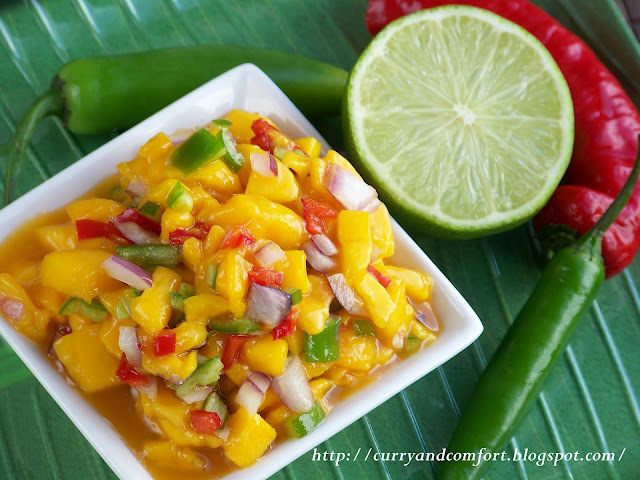 I love mango salsa too! Yours looks like it would be perfect on top of grilled chicken. I am not sure how I feel about mangos. I think I eat them when I am not sure they are included but would probably pass if I was told this has mango in it. Regardless the color is gorgeous. This looks delicious! I just made my own version of this yesterday for a salsa themed party! Love your version too!! One of my favorite,so refreshing,,YUm !! I love mango! Your salsa looks great and it would work with so many different meals! 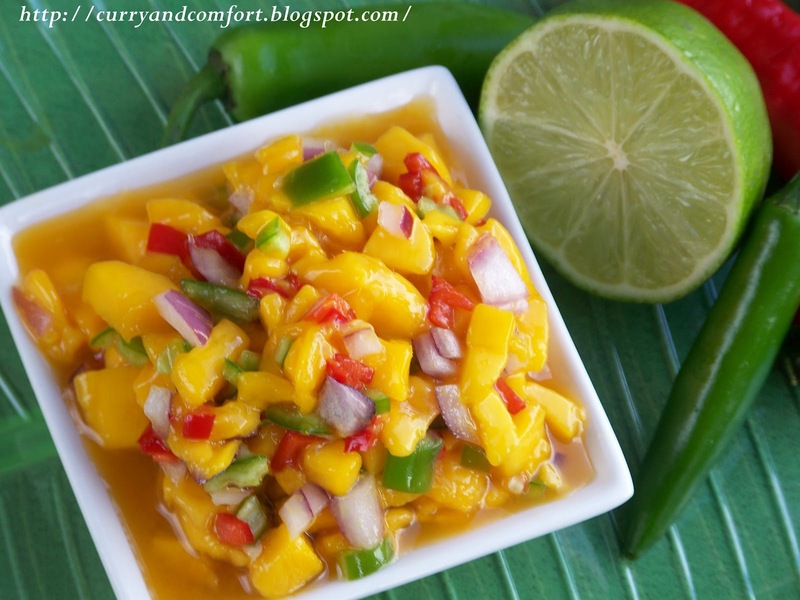 What a refreshing and simple mango salsa! This would go great with some flank steak fajitas that I make. Looks wonderful with your shrimp cocktail! Ok, I have to admit, I only like mango if it's mixed with something savory. So I would totally love this! I love the sweet/spicy combo! I hope you submitted this picture to food gawker, because it is so beautiful. Very well done. Makes me want to make it for sure.